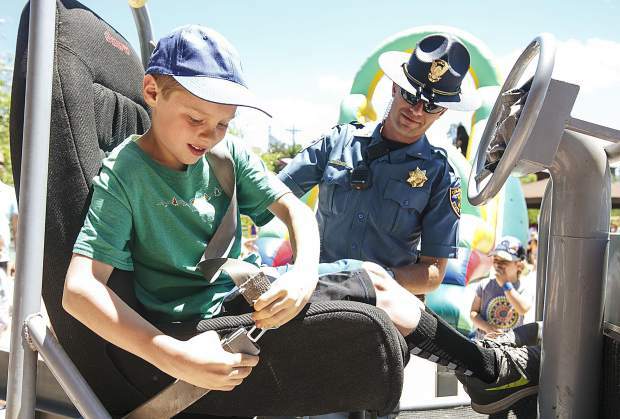 Braeden Opsahl, 9, buckles up on the Seat Belt Convincer machine as Colorado State Patrol trooper Galen Peterson looks on during the Safe Summer Kickoff event at Rainbow Park Saturday, June 9, in Silverthorne. 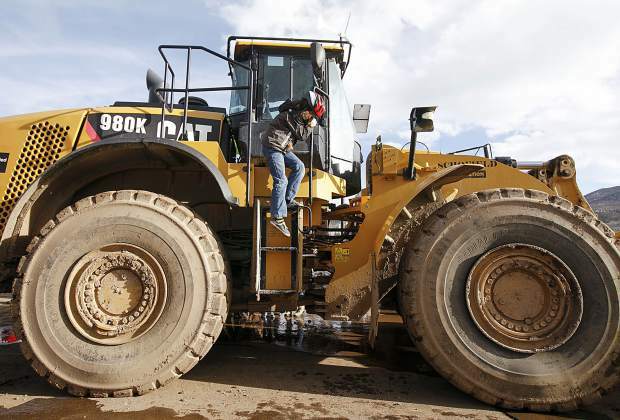 The machine, controlled by trooper Peterson, allow the riders to feel what it is like to be stopped abruptly with the seat belt on. 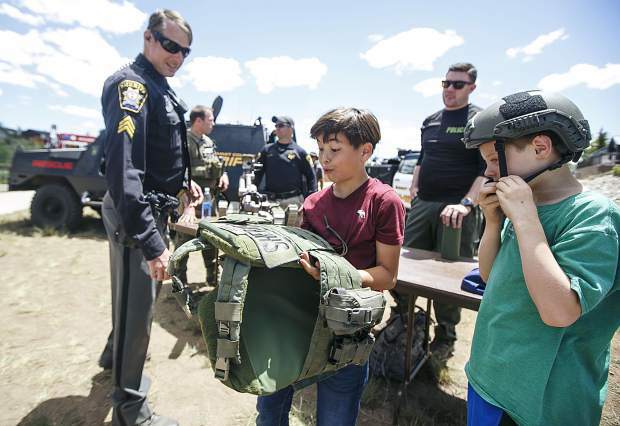 Austin Meadors, 10, center, takes a close look at the bullet proof vest used by the local sheriff department during the Safe Summer Kickoff event at Rainbow Park Saturday, June 9, in Silverthorne. 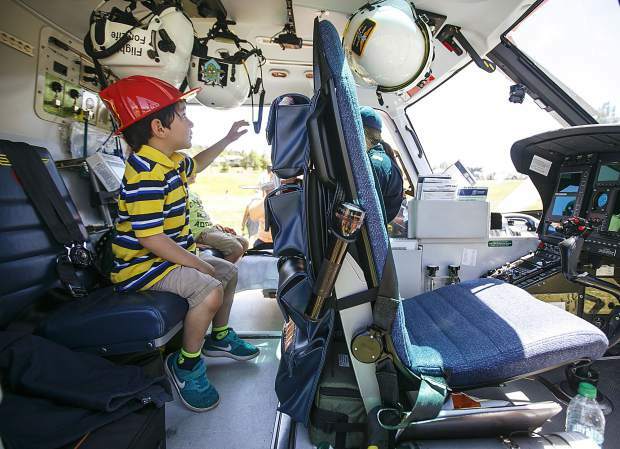 Silverthorne resident Tobias Bruning, 4, explores the interior of the Life Flight helicopter during the Safe Summer Kickoff event at Rainbow Park Saturday, June 9, in Silverthorne. 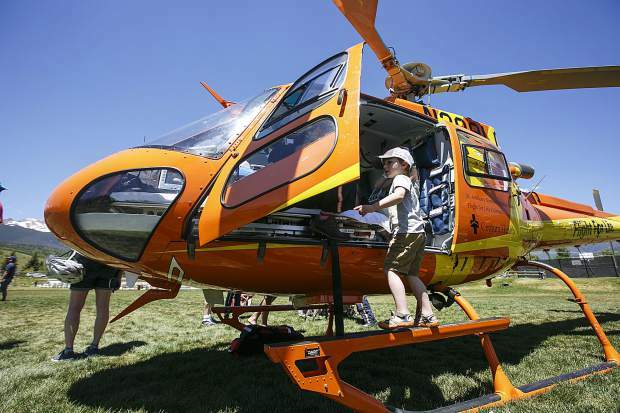 Local children check out the interior of the Life Flight helicopter during the Safe Summer Kickoff event at Rainbow Park Saturday, June 9, in Silverthorne. 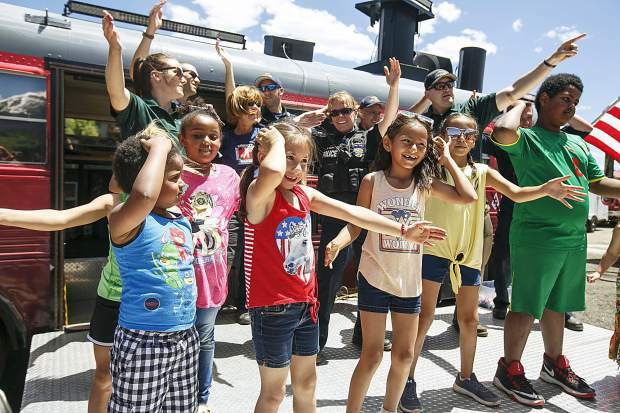 Children dance along a song with the local law enforcement and firefighters during the Safe Summer Kickoff event at Rainbow Park Saturday, June 9, in Silverthorne. 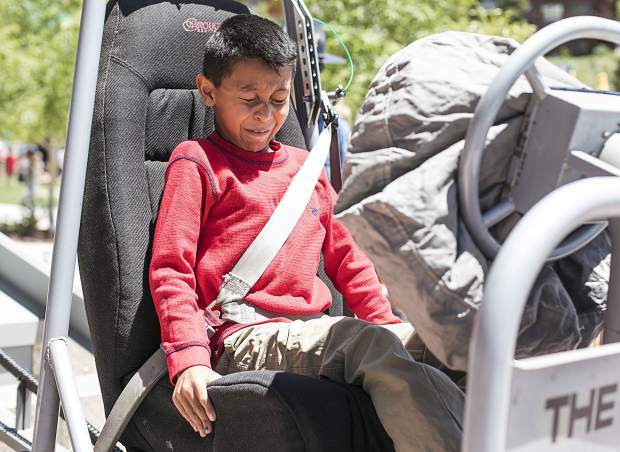 Jesus Najero, 11, braces for "impact" on the Seat Belt Convincer machine during the Safe Summer Kickoff event at Rainbow Park Saturday, June 9, in Silverthorne. 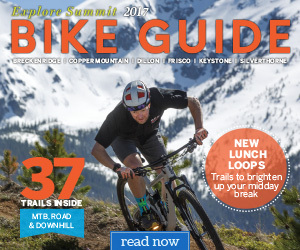 The machine allow the riders to feel what it is like to be stopped abruptly with the seat belt on. On Saturday afternoon, hundreds of families and children turned out for the Safe Summer Kickoff event as it continues to grow bigger every year at Rainbow Park in Silverthorne. Local law enforcement and fire departments, including a Flight For Life helicopter, participated in the 18th annual event to teach kids to be safe and know how to use the educational tools for life-saving operations.